After three years of legal wrangling, the diligent folks at Mother Jones released another set of Sarah Palin’s emails on Friday. There are plenty of subtleties to the story. Should a personal Yahoo! email account be used for government work? 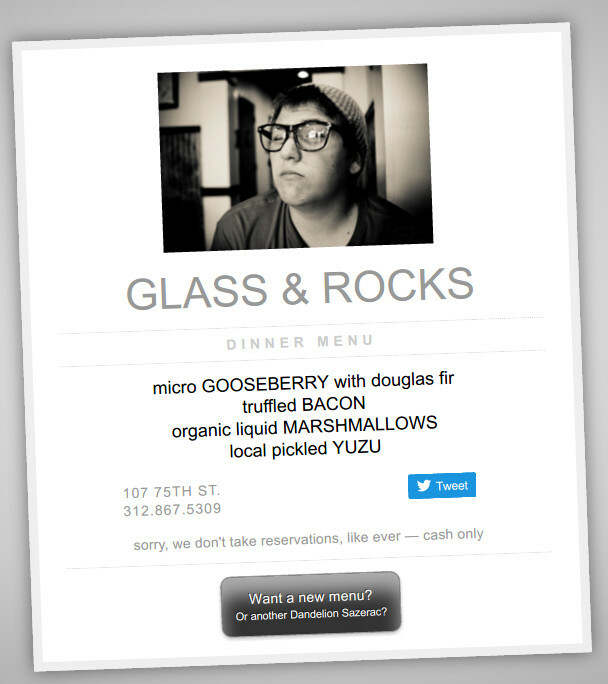 And why the frustrating digital / analog loop of printing emails to be scanned at the other end, like a fax machine? For my own snickering, I spent a couple hours over the weekend downloading the email PDF’s, converting them to text, and then parsing out the choice “holy moly’s” and tender bits about Track in the army. 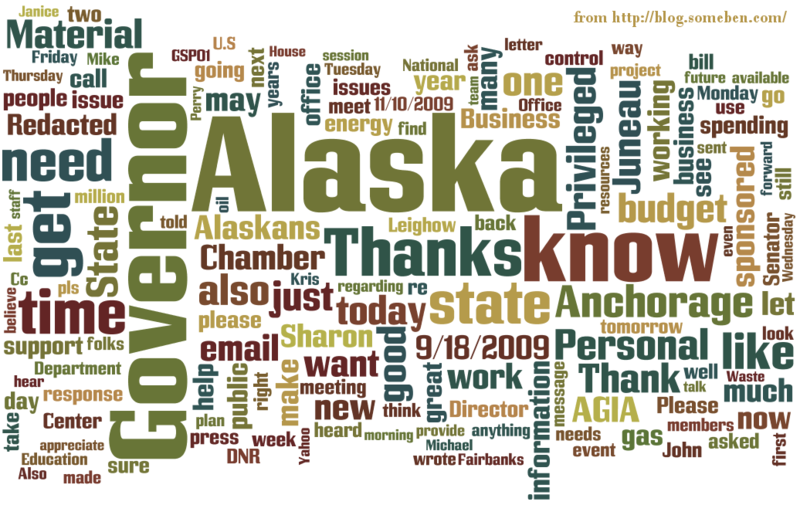 Here is a word cloud of the former governor’s emails, via the amazing Wordle project.